Figure 2. 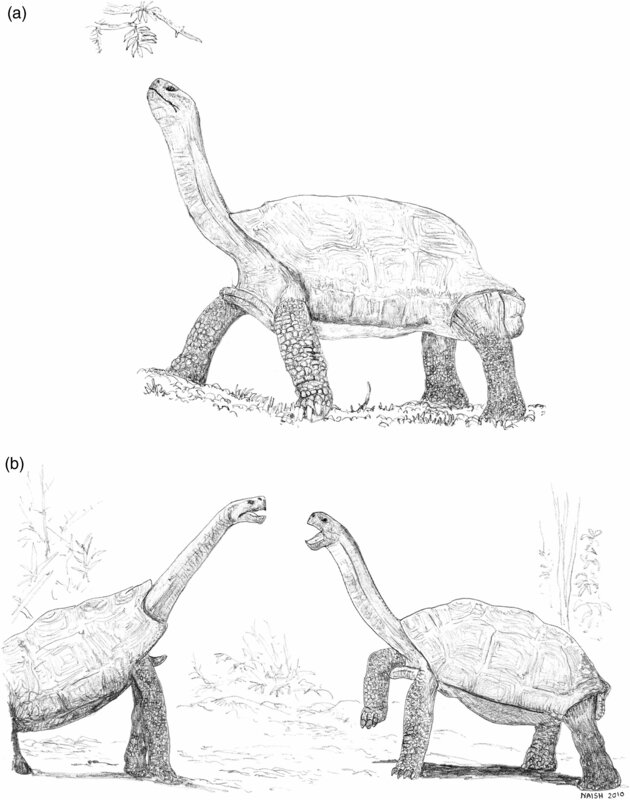 Long necks often serve multiple functions, as demonstrated here by Galap�gos giant tortoises Geochelone nigra. 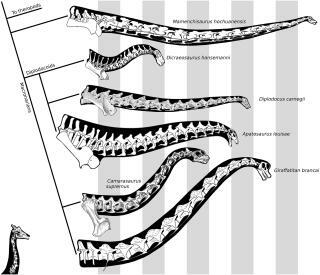 (a) Use of the long neck for high browsing is commonly practized by terrestrial testudines. Based on a photograph in Moll (1986:74-75). (b) Use of the long neck in establishing dominance. 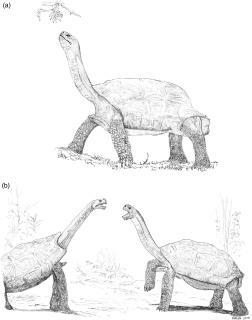 The two tortoises shown in the illustration were photographed on Santa Cruz Island: the dome-shelled animal on the right belongs to the native form G. n. porteri while the saddlebacked animal at left represents the Espa�ola form G. n. hoodensis. Based on a photograph in Fritts (1984: Fig. 2).